Do No Harm: Simple, natural, and pain-free procedure without incisions and scarring. This form of hair transplant involves creating incisions through the skin and removing a strip, with the hair follicle included. This can potentially damage major blood vessels providing essential blood supply to area of the scalp that serves as the 'donor area of hair'. The open wound is then closed with stitches that are removed within two weeks. The strip of skin is then processed by the assistants under the microscope so that the hair follicles are separated one by one. Reception holes are created with fine needles and the hair follicles are placed with forceps. Body hair follicles cannot be extracted using the 'strip' method, depriving the patient of a tremendous area of donor hair. A longer recovery period is needed, with scars and numbing common. Patients must wait months before they can even consider a repeat procedure to increase their hair density. The Anagen Plus Laser Light device is a personal tool for hair restoration, at the size of a comb, which restores hair and scalp safely using NASA approved LED and Laser light utilizing ultra-modern semiconductor technology. If used properly and professionally, hair extensions may significantly change the way you look. If wearing a wig or an extension of any type is a necessity, you can substitute your hair for as long as it is required. The wigs ready-made or Special Orders are cut and styled on your head for a personalized result. Invisible caps also give a natural result. Women who want long flowing tresses of hair, favor hair extensions. Hair extension, or integration, is the process of braiding human or synthetic hair into existing natural hair. The hair extension is woven into small sections of loose or corn rowed hair. This is only suitable, however, for those who have a lot of existing hair to begin with, as extensions are woven into existing hair. Hair extensions must be re-tightened on a regular basis. Not maintaining hair extensions properly can cause breakage and thinning. Another downside of this method is the risk for additional permanent hair loss from frequent tightening and retying. 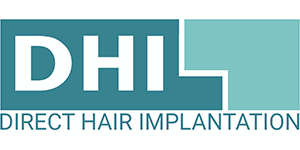 DHI DIRECT MPG (scalp micro pigmentation) is a new promising method for handling the appearance of alopecia or great hair loss areas. A semi-permanent and a permanent pigment/ink, similar to the one of the existing hairs, is used to cover the area of the scalp which has lost hair by the creation small spots resembling follicles. Practically, it is a kind of tattoo, with the difference that it is applied in spots mimicking the short hairs on a closely shaved scalp. The purpose of this method is to present the illusion of high hair density when applied on a thinning hair scalp area, a scalp that has been treated with hair implantation or, when impossible, to treat the area otherwise. This is why the method is mainly very satisfying when the entire head has been shaved. However, some hair transplant surgeons have begun utilizing this procedure to aid in thickening the appearance of naturally thinning hair.